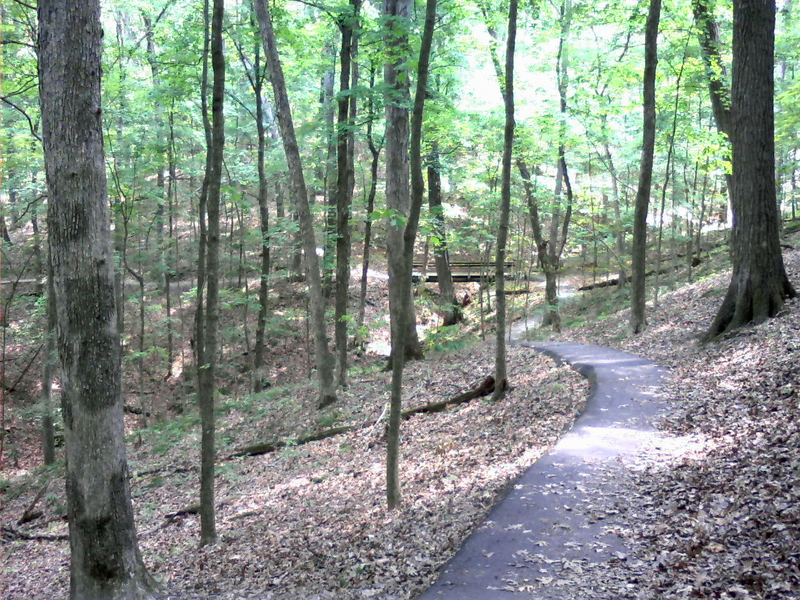 The Trail Among the Trees is a fairly short trail in Rockwoods Reservation that can be hiked as a loop and accessed from two trailheads on Glencoe Road. While the trail itself is not a loop, it is a short walk along the road to return to your starting point. This trail has a trail-specific brochure available at the the trailhead with contents corresponding to numbered posts along the trail. 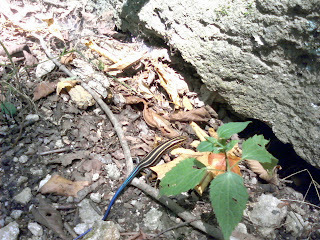 I forgot my camera, so I only have very poor quality photos. 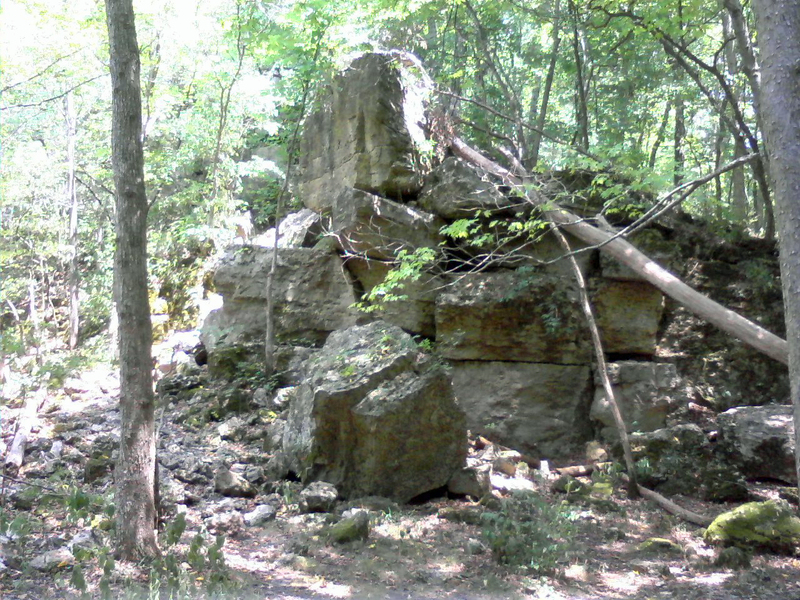 Beginning at the office and visitor center at Rockwoods Reservation, the trail begins by entering a old quarry with many rock piles, boulders, and small cliffs. 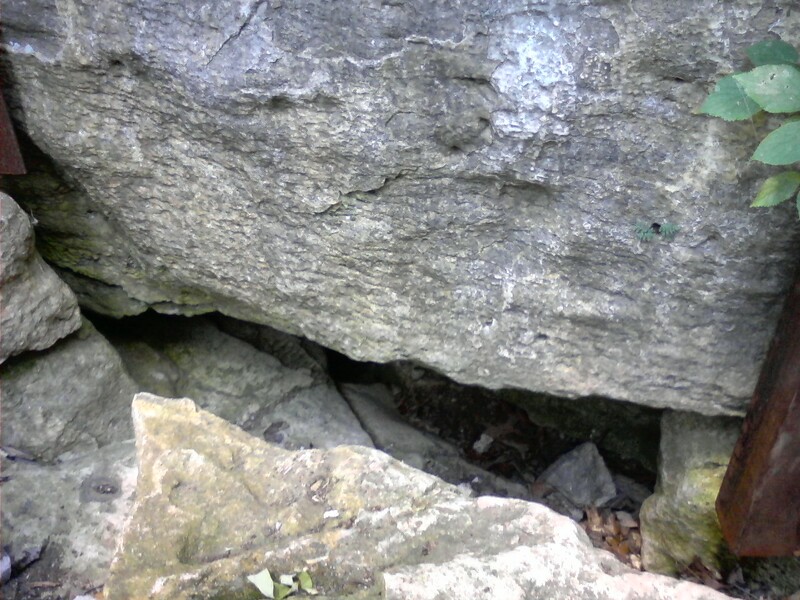 A short ways up the trail you pass by an obvious, but unmarked turnoff that leads to Rockwoods Cave. 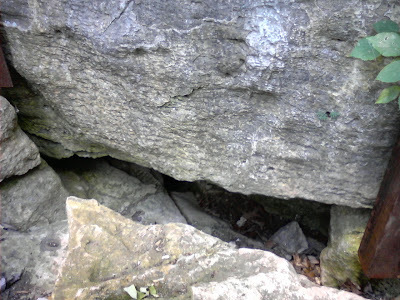 This cave has a very narrow opening and used to be open to the public, but since the spread of white-nose syndrome the cave has been closed and is completely inaccessible. After walking through the quarry, the trail crosses a stream (dry) and begins moderately ascending a hill. 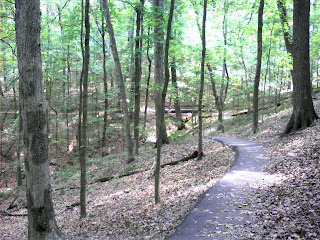 Much of the trail is paved, and the sections that are not are by no means difficult to walk on. 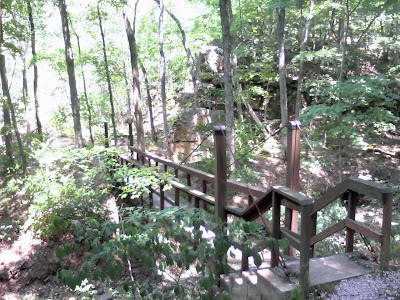 The trail then continues across a ridge before reaching a small bluff with a decent view of Rockwoods Reservation. Around the next bend is another old quarry, but this one is much smaller than the first. The trail begins descending and soon reaches the road near the beginning of the Green Rock Trail.